The whole procedure works without a problem, and as you can see, I don't change the package between the signature and the creation of the dmg. (c) 2014 Apple Inc.  All rights reserved. The command line tells me everything is 100% correct, but I still can't launch the app from the user interface because I'm missing something, somewhere, that the command line won't tell me. Please note that when I bypass the quarantine using the command line, the app launches properly, which implies that I don't have any missing library as far as I'm aware. I was able to solve the issue thanks to some external help. Which means that the issue was actually some bad rpath. The rpath is used to find and load frameworks needed by an application. I wrote a python script to recursively fix the rpath, and now it works. 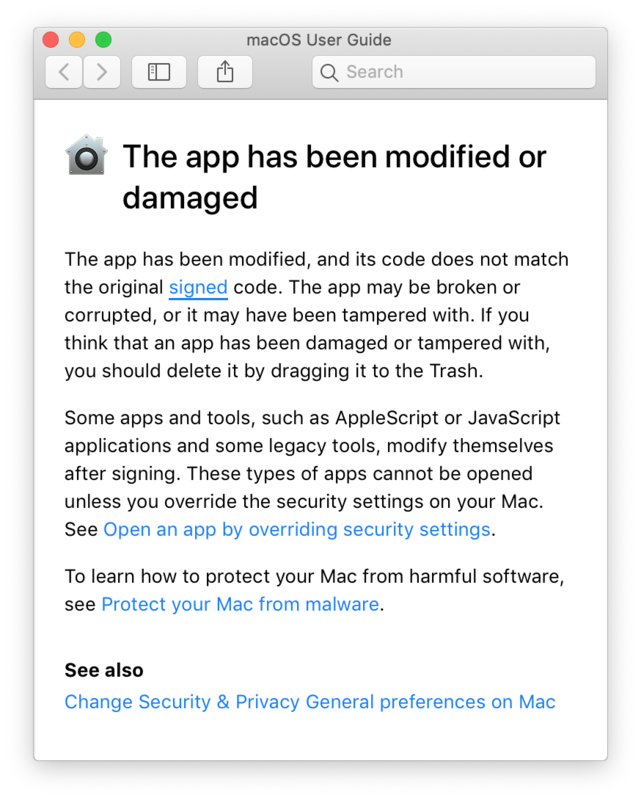 The script changes the executable's rpath using Apple's install_name_tool. This is not something user's should ever need to do and is exclusively something for an application's developer to fix before deployment. Not the answer you're looking for? 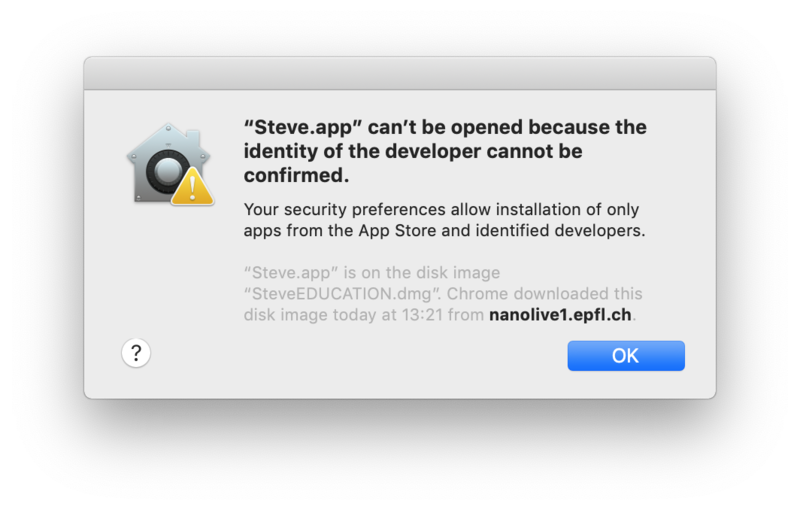 Browse other questions tagged macos dmg code-signing gatekeeper .